The game of basketball becomes so much easier when you have a guard who can get into the lane, collapse a defense and create from there — either for his own buckets, teammates cutting or teammates spotting up behind the arc. 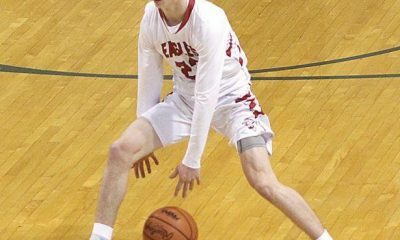 But it’s not as simple as it looks, beyond the skill and quickness the guard needs to make it happen, it’s a fine art to be a driver who doesn’t over-dribble, doesn’t over-penetrate, can see and operate among larger players and keep teammates happy while making the defense honest with the guard’s own scoring. 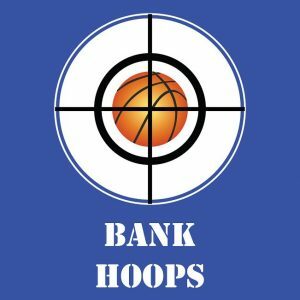 Here are some of the guards from the Bank Hoops All-State Camp who did that best — putting pressure on the defense and making their teams more dangerous in the process. Elijah Belle 5-9 Sr Detroit Voyageur: He reminded me of the player we liked so much as a youngster at our Underclassman Camp. Belle shared some backcourt shine last season with all-state senior Lemuel Holt then played more system ball in AAU. Strong, aggressive, and loves to get his shoulder into a defender and get downhill. Can beat his man going either way. Has efficient moves to create space for his three-point shot to balance the drive. Sometimes came in unbalanced around the rim, though countered that when was a bit more patient and used a smart pump fake. Strong grades make him an even more attractive recruit to small colleges. 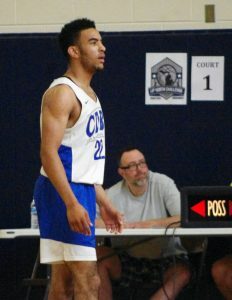 Kobe Bufkin 6-3 So Grand Rapids Christian: The top long-term prospect at camp. A hard worker in drills, leading by example. Smooth, long lefty who covered the distances to the cup efficiently and consistently. Played like a point guard, keeping the ball hot, while also able to turn it on and get his when he wanted, extending for layups or shots. Good peripheral passing vision when on the move. Sets it all up with a quick, easy shot. Needs to work on his right hand finishing. Mason Docks 5-11 Fr Williamston: This young prospect was already mentioned here, but he’s worth another look. He was outstanding on the fast break, pushing the ball with authority and getting right into the heart of the defense. One of the state’s top 2020 combo guards, Kalamazoo Central’s Trevon Gunter. 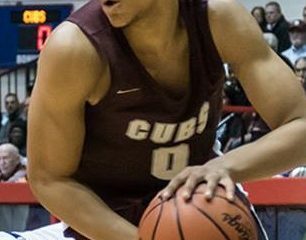 Trevon Gunter 6-1 Jr Kalamazoo Central: Methodical getting to the rack, using his strength, patience, change of speeds to traverse the half-court. Has the benefit of playing for a former D1 point guard, Kalamazoo Central coach Ramsey Nichols, and has college size for the position. 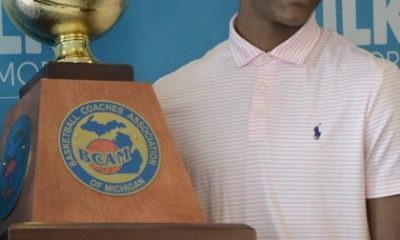 Gunter can shoot it as well, ironically hitting five three-pointers in succession, from various spots, in a camp game where one of the refs was Milo Stovall — a sweet-shooting Kalamazoo Central guard himself from 20 years ago. 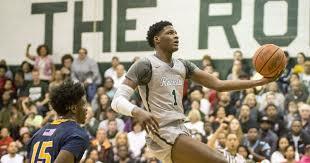 Robert Johnson 5-11 Sr West Bloomfield: He looks poised for a big year at West Bloomfield as the heir apparent to Jalen Kelso. Strong and aggressive, but doing it under control, picking and choosing when to look for his own shot. Did a good job of powering off of two feet to finish against forwards. 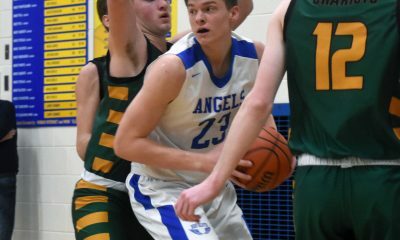 Pass-first point guard who worked to feed the post and got a lot of buckets for teammate Jacob May, a 6-4 junior from Ravenna. Drew Lowder 5-11 Sr Ann Arbor Pioneer: The best in camp for the topic at hand — scoring in the lane. Great first step, and then a whole lot of sophisticated, complicated moves to score once he beats the initial man. Did it with or without a screen. Has really improved at keeping the balance between scoring himself and getting others involved. He has the chance to do big things in the Patriot League at Holy Cross. 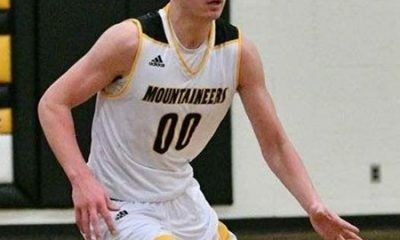 Landen Moore 6-1 Jr Flushing: Played on a loaded camp team and fit in well, keeping the ball hot, able to attack and draw double teams and distribute accordingly. RJ Taylor 5-9 8th Midland Dow: Turned the corner with ease in drills, even going against the top upperclassman point guards in camp. Finished better as the day went on, and is adept at going off two feet around the rim Villanova style. He did it from the outside as well, closing the afternoon by making nine 3s in a single game. One of the top 2023 guards in Michigan. Will Smythe 6-1 So Warren De La Salle: He played on an underclassmen team with some guards who just didn’t get it, yet, and there was one-on-one play an not much flow, and sometimes Smythe got caught up in that, but that’s not going to happen in the winter at DLS which makes him a very promising prospect considering the skill that was on display. High-end handles, able to split the defense and finish with English. Sometimes fell in love with the highlight play which hurt his efficiency. The kid of prospect who will lap a lot of guys who are better known, for now, in the 2021 class. Evan Thomas 6-4 Sr Okemos: Deceptive because he tends to play upright, just playing to his advantage as that helped set up his drives as well as his competent shooting. Showed bounce to finish offer either foot. Well-coached, the drills came easy to him. No prima donna guard, there’s little task on the court Thomas isn’t eager to try, and will create his own luck going to get the ball off the glass. High-end grades make Thomas an even more attractive recruit. 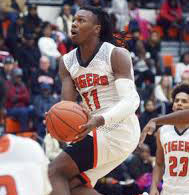 Mykel Warren 6-1 Jr Marshall Academy: His teammate Ta’vas Lawler-Showers came in with a big reputation based on his performance at last year’s camp followed by a prolific sophomore season, but another Marshall Academy junior showed he can hoop too. Played with no fear, was really aggressive and athletic in the open court and drew a lot of fouls. Needs strength, but still finished acrobatically. 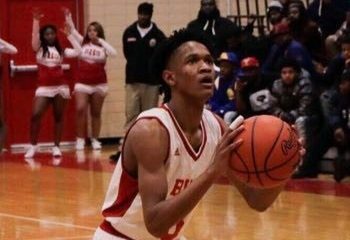 Good shooter too, good timing replacing for the catch-and-shoot behind the arc and created and made a 3 off the dribble over the long, talented Kobe Bufkin. Charlie Woodhams 6-2 Jr Otsego: A power guard who plays at his own pace and slowly piles up points within the flow of the game. There are different ways to skin the cat, and Woodhams is more likely to drive from the baseline than top of key, but the end result is the same — he’s at the rim. Did a good job of recognizing mismatches and taking them to the block. Ran hard all day long and got a number of transition tip-ins. Quick, strong hands. Has D2 offers, the challenge for him at that level will be checking explosive 1s and 2s in the GLIAC.